This should be a familiar image to everyone who remembers the TV show “Star Trek”. 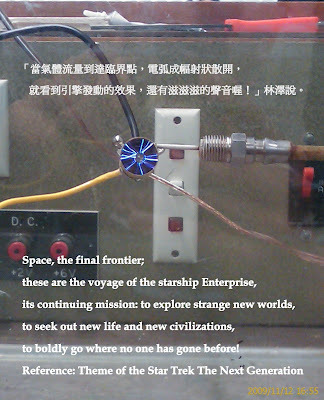 In the show, starships and shuttlecrafts are always equipped with three types of thrust systems, which are: Warp drive, chemical thrust, and impulse drive which is my topic for investigation. Of course, the warp drives are the starships’ and shuttlecrafts’ major way of interplanetary travel, however, they have to drop from warp speed and turn it into impulse power as they approach their destination (impulse power is also used in emergency situation, such as when warp drives are off line ). 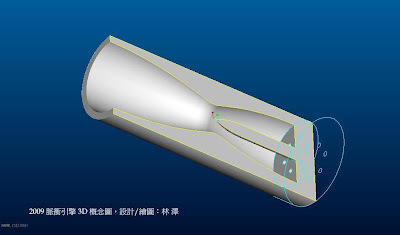 According to the Law of Momentum (momentum=mass X velocity), the thrust system has to push the exhaust gas out as fast as possible, because the speed of exhaust gas emission is in direct proportion to thrust. But, the exhaust speed of our current best rocket engine is only 3000m/s, which means they have to fly with lots of fuel. Impulse drives expel plasma to create propulsion. With its higher (100000m/s) exhaust velocities, impulse drive offers distinct advantages over conventional types of propulsion for each of the current deep space mission applications. Note: Impulse drives are based on magnetoplasmadynamic (MPD) thrusters. The reason for my choice of this topic as my project is that: “I spent my youth, looking up at the stars and dreaming of what might be.” I found the answer as I grew. The answer is that, there is a new frontier for all of us, and if you want to explore it, then you need a starship at least. The conventional types of propulsion systems are less efficient, and produce too much vibration during takeoff, which may damage a space shuttle and cause it to crash when it returns to the Earth’s atmosphere. So, the only way to make interplanetary travel successful before we invent warp drive is this- Impulse drive. where F is the force in Newtons, J is the total current, u is the magnetic permeability of free space, ra is the radius of the anode, and rc is the radius of the cathode. What WENT WELL with your DEVELOPMENT PROCESS? According to my analysis, the impulse drive produced plasma successfully and there is obvious difference between working with nitrogen and working without nitrogen. There were a few arcs between the central rod-shaped cathode and the cylindrical anode in the fuel injector section before I engaged the gas supply. When I engaged the gas supply, something happened there in the interior of the engine- it began with a few arcs that went forward and backward. Suddenly the arcs radiating to the entire engine in its interior- the pressure was high enough! 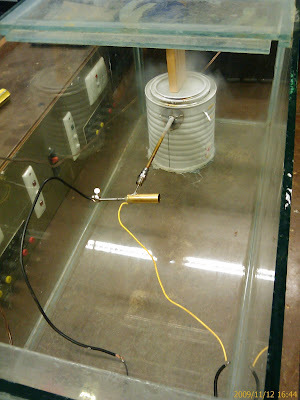 After the starting sequence, we noticed that the nitrogen smoke didn’t pass by the nozzle; instead, the smoke avoided it! This made us assume two hypotheses; first is that the engine really produced thrust, which caused the smokes to go by a devious route to avoid the plasma flow discharged from the engine. 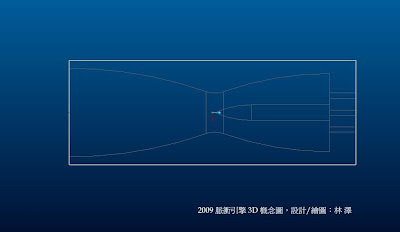 Second is that the engine didn’t produce any thrust or accelerate the plasma, the nitrogen smoke only avoided the nitrogen flow discharged from the engine. What DID NOT go well with your DEVELOPMENT PROCESS? 1. The process that did not go well was that, I don’t have a second chance to do this experiment again, to make sure the engine really produces measurable thrust although I’m sure it does! 2. Another imperfection was that, the gas flow was unstable. I really think that the gas needed to be stored in a high pressure steel cylinder, not stored in the liquid phase bottle. High pressure steel cylinder is able to keep the gas flow stable. 3. 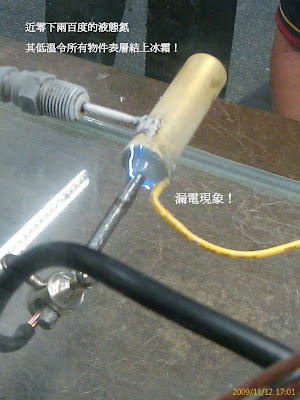 Both voltage and current of the power supply are not high enough. I believe if we can get higher voltage and current, then we might be able to detect thrust change with our own eyes. 1. The engine must be fully computerised and machine built, because if we don’t do this, then the thrust and other required readings would be unpredictable. 2. The gas flow must be stable; otherwise we would unable to get correct readings. Aside from the theories I learned, this project made me understand that nothing is impossible if we persist. For example, a long time ago people said that humans cannot fly into the sky, but nowadays we can. A long time ago people also said that we cannot travel at supersonic speed, but nowadays we can. A long time ago people also said that the sky’s a barrier, but nowadays, we’re saying that the sky’s the limit! By the way, we have achieved the impossible- we made the School into the first high school on Earth to successfully create the magneto plasma dynamic thrust! I’m the leader of the project team; I’m also the chief designer in the team. I designed the entire engine and its liquid nitrogen containment. My role is just like Captain Picard in this design project. I always do what no one has done before! Space, the final frontier; these are the voyage of the starship Enterprise, its continuing mission: to explore strange new worlds, to seek out new life and new civilizations, to boldly go where no one has gone before!